NASHVILLE, TN (TSU News Service) — When Folusho Elijah Micah was asked to introduce TSU President Glenda Glover at a church event, he made an impression that has undoubtedly changed his life. Micah, a second-year biology major at Tennessee State University, says he’s interested in the field of medicine, particularly care for children. He says his love for children led him to start babysitting for family members in the neighborhood. “I love medicine and have so much passion working with kids, I thought, ‘what can I do to take these areas that I love so much and put them together? Become a doctor,’” says Micah, a Nashville native and graduate of Hume-Fogg High School. He is well on his way to fulfilling his dream. At TSU, Micah maintains a near 4.0 grade point average, and has been on the Dean’s List every semester. 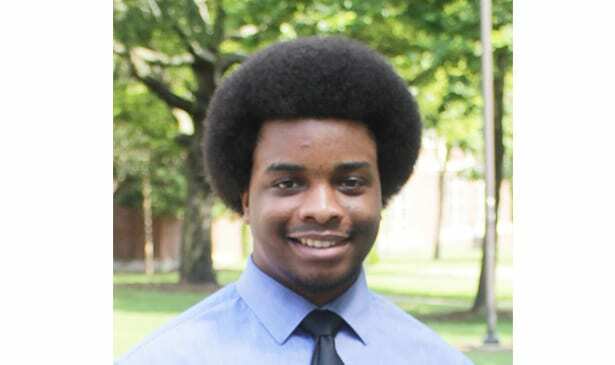 Additionally, he just completed his first summer in the Meharry BS/MD program, a pre-med initiative that connects Meharry Medical College with TSU and other historically black colleges and universities. With good behavior and good grades in high school, college was always on Micah’s mind, but he was concerned about the financial burden it would put on his parents. Micah’s fortune would soon change, thanks to a chance meeting with President Glover. Micah is a youth leader and summer camp counselor at Corinthian Missionary Baptist Church, where the TSU president was scheduled to speak. The pastor, the Rev. Enoch Fuzz, picked Micah to introduce Glover. The soon-to-graduate-high-school senior says he went home and researched “all I could find on the President,” and prepared his introduction. He says he’s extremely grateful to Glover for the scholarship. Micah’s coming to TSU fulfills a special goal for Glover’s vision to move the university to another level of excellence. In 2016, the President announced sweeping changes that raised admission standards to attract the best and brightest. Minimum requirement for incoming freshmen went up from a 2.25 GPA to 2.5, while the ACT score remained at 19. The goal is to strategically recruit a millennial generation of high achieving students to improve retention and graduation rates. The semester following Glover’s announcement, school officials said Micah’s class of 2021 came in as one of the most academically qualified classes in the school’s history, with an average 3.07 GPA. It was also the largest incoming freshman class in school history – 1,500 first-year students – a 17 percent increase over the previous year’s freshman enrollment. At TSU, Micah says the “family” atmosphere has been very encouraging and has helped him to adjust to his new environment. Micah, who has not yet decided where he will go to medical school, says he was also concerned about the declining number of African-Americans in the medical field. Studies show that despite efforts by medical schools to increase diversity among applicants, the number of black men have remained stagnant for nearly 40 years. In 1978, 1,410 black men applied to U.S. medical schools. In 2014, that number was 1,337, according to the Association of American Medical Colleges. Micah aims to change that statistic for black men.